Millennium 7 Publishing Co.: YOUR Social Media Sales Targets? 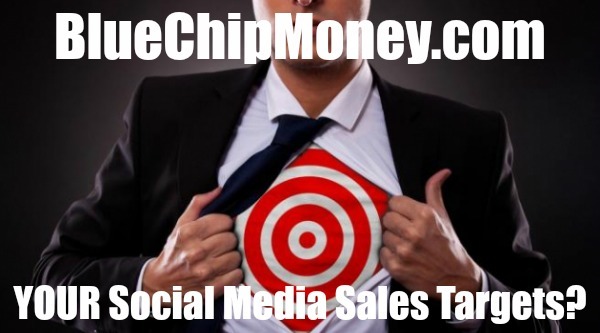 YOUR Social Media Sales Targets? Sales is a lucrative career option everywhere including the UAE, but meeting targets takes continuous evolvement and growth. That is where social selling comes across.. So what is 'social selling'? Social selling is changing the workflow of traditional sales by giving priority to long-term conversations in comparison to starting with a pitch. Being able to use social media for these conversations is key for this process and our social media insider, Stefanie Fernandez, Head of Sales Solutions at LinkedIn MENA, has some tips for achieving your sales target effectively and efficiently through social media. Before starting, here are some number from LinkedIn's social selling index - social selling leader are 51 per cent more likely to reach their sales quota and create 48 per cent more opportunities than peers who don't use social media effectively. Related Article: Increasing YOUR Social Media Followers? Most people already have a sales strategy and try to incorporate social selling tactics in to the process or routine. According to Stephanie, while this is a good idea, you will be far more effective when you implement a strategy to back them up. Start by addressing the integration of social activities into your overall sales strategy. Who are you trying to reach? What is your core message for them? Which platforms do they use? What kind of content will you share and why? How will you manage the information you receive? What are the ultimate outcomes you seek to measure? Answer these questions and more, then build your social strategy plan (including your tactics) and make sure you execute consistently. You will often hear that buyers are already at least 60 per cent through the buying cycle by the time they reach out to a salesperson. This doesn’t mean you should wait around for them. Seek out your prospects sooner rather than later. 1. First off, if you get in early, you can share ideas, insights and information that can help them achieve their objectives. This positions you as a valuable resource than just another self-serving salesperson. 2. You’ll develop relationships with key people before they start looking, to build a trust advantage. 3. Finally, by getting in early, you’ll be able to impact the decision criteria instead of just responding to them. While it is always tempting to pitch the first time you talk or connect with someone on social media, that would be like taking an axe to your relationship then and there. Social media is not an ideal platform for effective sales pitches. The best advice is to keep sending them educational material and subtly dropping in something compelling about your company, increasing the likelihood that they will click on it. The rationale behind this is simply to build trust. Social selling is a process that requires patience and ongoing commitment. You can’t just share one article or favourite one buyer’s tweet and then be done with it. Salespeople must commit to infusing social networking into their daily routines for social activity to have an impact on revenue and sales. Your online brand is the one asset you have that differentiates you from the competition. Keep it professional whilst making sure you’re maintaining the human element and being authentic. Your social presence across the networks you choose to publish on should be unique, consistent and compelling. People want to buy from people that educate them, not from robots. Social selling is an ongoing investment of time and dedication to create relationships, and all sales are soon going to be about just that - relationships and conversations. Start getting social today. Guest Authored By Dona Cherian. Dona is a writer/reporter for Gulf News Guides. She is an expert in practical UAE life tips and tricks, guides on lifestyle and travel, and rankings from across the globe. She loves digital analytics and is a closet artist. Follow Dona on Twitter.